I have just read the Great Gatsby, an American classic book written by F. Scott Fitzgerald. It tells the story of Jay Gatsby, a new rich of the twenties. His neighbor, Nick Carraway (the narrator), tells how Mr. Gatsby, every Saturday, organized parties in his mansion from the West Egg because he wanted to break into American high society. At those parties, crowded of people who didn’t even know to their host, the cool people from the American high society only attended to interact between each other. And even, they were able to swap gossipy stories (“I knew he killed a man…“) about Mr. Gatsby, their host. A long time ago, when Gatsby was a young soldier, he felt in love with Daisy, but she didn’t wait for him and she got married with Tom Buchanan. But Gatsby still loves her. One day, thanks to Nick, who was cousin of Daisy, the two ex-lovers met and their affair was kindled. Tom (Daisy’s husband) who had a mistress in New York, begun to suspect that Daisy was in love with Gatsby and he started to looking for dirty stuff about his past. After a confrontation between Tom and Gatsby, Daisy drove back to Gatsby to New York but in the way, suddenly, she runs over and kills a woman. That woman was Myrtle Wilson, Tom’s mistress. Her husband, George Wilson, who thought (thanks to Tom’s version) that Gatsby had killed to his wife, went to Gatsby’s house and killed him. Nick Carraway, the neighbor of Gatsby (and the narrator of the story) tries to arrange a decent funeral for his close friend. But people invent different excuses and, finally, nobody (neither Daisy) came. 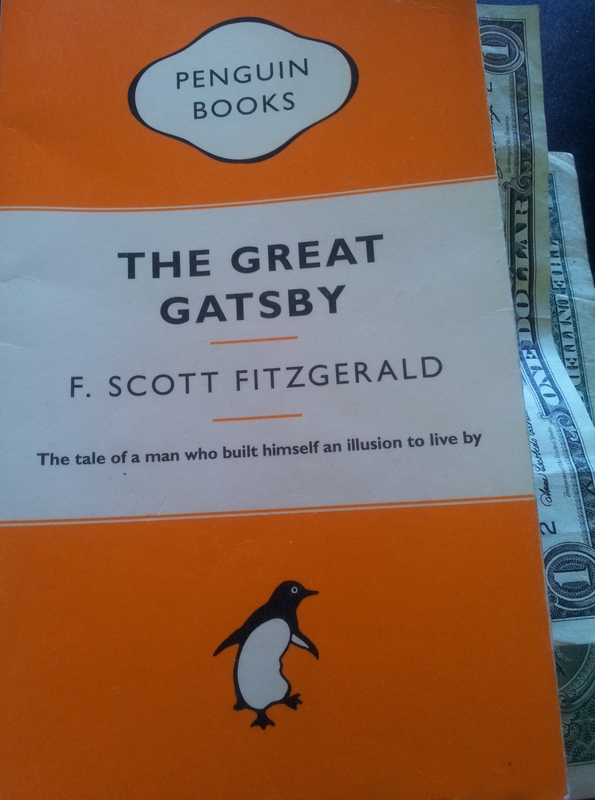 Gatsby created himself around the values of the American dream: money, wealth and popularity; but finally he was alone. Just his noble friend, Nick, was truly worried about Gatsby’s death. Esta entrada fue publicada en ARTICLES IN ENGLISH y etiquetada American classic book, F. Scott Fitzgerald, Penguin Books, Review of the Great Gatsby, The Great Gatsby. Guarda el enlace permanente.